A quick and easy cache and dash with nearby on-street parking. After a series of DNFs, I elected the 'simplify' option and have enlarged the size of the tube (now 6 x 2cm). St Andrew's church was built in 1903 as a more accessible chapel for worship than St Bartholomew's church (on nearby Chosen Hill). In recent years it has been greatly expanded with the addition of a multi-roomed church centre, completed in 2001. In 2012 the church was re-ordered to accommodate a growing congregation; the refurbishment included under-floor heating, double glazing and wall insulation, whilst maintaining all of the original character and features. 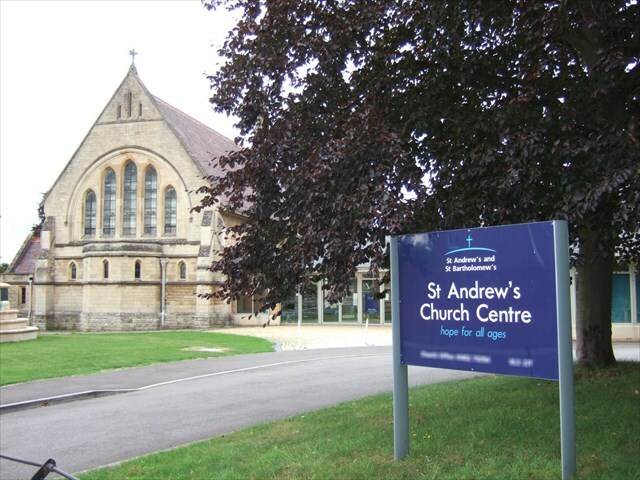 Today it forms an integral part of Churchdown's community as it hosts both church and secular events on most days. For further information see St Andrew's web site. The church office is open weekday mornings for any enquiries. This is a magnetic container within view of St Andrew's church. It is not in the church grounds and it is not necessary to enter the grounds. Geo-tweezers may be required to extract the log sheet and a pen will be required to sign it. Please write prudently and replace the cache carefully. N oevpx whkgncbfvgvba. Evtugzbfg, Vil!